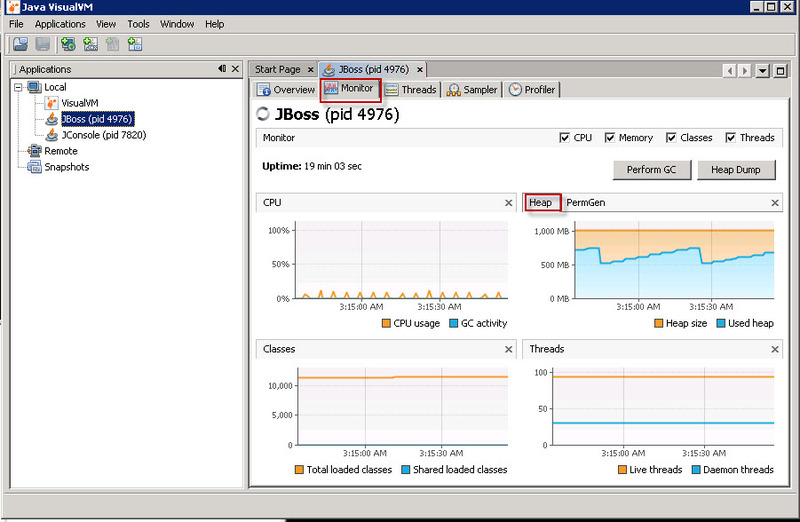 Are you on top of monitoring one of the most important metrics in your Java application ? I’m talking about Java Heap usage. If you think you don’t have to monitor the heap usage, think again. “OutOfMemory” error is one of the deadliest and not keeping track of your heap usage means you are walking on a land mine – It can blow up all of a sudden. 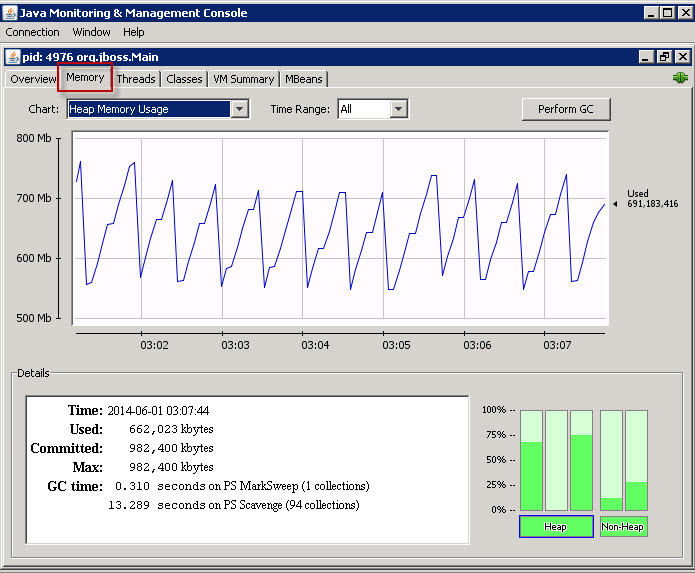 Now that you know the importance of monitoring the Heap usage, how do you proceed ? First of all, I would like to clarify one important thing. 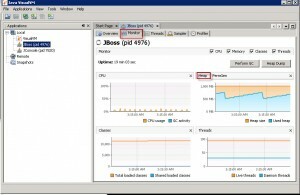 The Memory utilization by the ‘process’ shown by operating system commands such as top (unix) or Task Manager (Windows) is NOT the java heap usage. What you see from Operating System perspective is the ‘process’ memory which ‘includes’ heap. We are not going to discuss about this metric. this means the java application can have maximum of 1024 Mega Bytes of Heap. If you don’t know the maximum heap size for your application, check the command line of your java application to locate the -Xmx option. 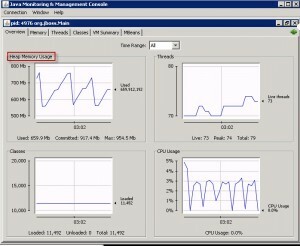 Jconsole is a GUI that can be used to monitor performance metrics of a java application. It attaches to a running Java application either locally or remotely (i.e. you can monitor a Java application that is running on the same system as Jconsole, or running on a remote system). The command Jconsole is found in JDK_HOME/bin (this means you must have JDK installed, not just JRE (a typical scenario in production environments). When running locally, all you need is the process id of the java application. To invoke jconsole, just execute the following command. Example shown below is for Windows. Important Note: You must have the correct access to the application in order for jconsole to connect to the running jvm. Typically, you must be the user who is running the java application as well as the jconsole command. VisualVM is a relatively new tool that not only shows the performance metrics form the JVM but can be used to profile the application too. Here is the description of the fields. When you add all the ‘utilizations’ i.e OU,PU,EU,S0U,S1U, you get the total Heap utilization. By analyzing the verbose GC output, you can determine the Heap usage. One small issue with this method is that you will get to see the metrics ONLY when a GC occurs (since a log entry is added ONLY when a GC occurs). 5. Use the JEE Application Server facilities. So, What is the easy way to monitor Heap usage ? The easy way to monitor Heap usage is by using a commercial APM (Application Performance management tool) such as CA Wily APM, AppDynamics,New Relic,Riverbed etc. 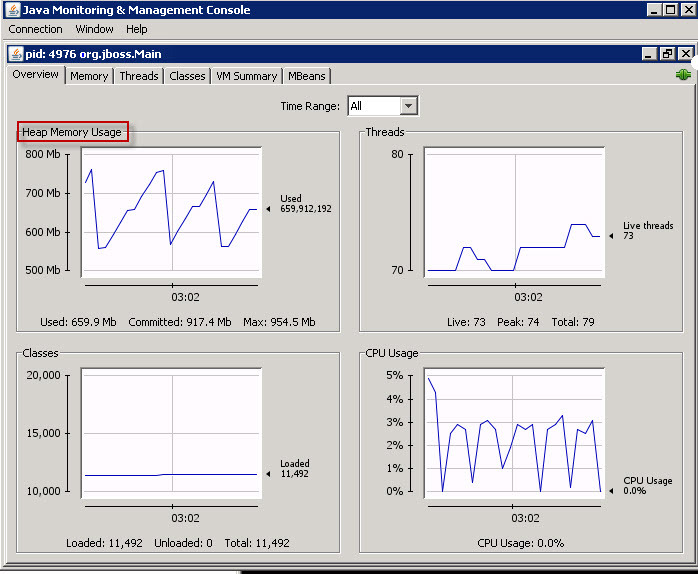 APM tools not only monitor the heap usage, you can configure the tool to Alert you when Heap usage is not normal. In this way, you can catch a production problem before it occurs. Better yet, APM tools have advanced capabilities to track the number of objects (a big aid in troubleshooting memory leak). Once you have an APM solution deployed, you don’t ever have to worry about keeping track of the heap usage constantly. Next post: 9 blunders by Development team that make Production Support’s life miserable!